Police spent the night searching for a man following an incident in Polegate. 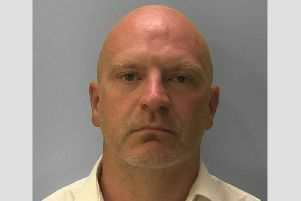 Sussex Police say the man is believed to have self-harmed before leaving a house. Officers were called to reports of an argument at the house in Highgrove Crescent at 11.31pm on Tuesday (September 18). On arrival, they discovered that a man had left the property and was reported to be suffering from self-inflicted wounds. Contact was initially made with the man by mobile phone, but he was not located until just after 9am in Dittons Road. A 45-year-old man of no fixed address was arrested on suspicion of affray and remained in custody on Wednesday morning.